Size options: A0, A1, A2, 40″x30″, 30″x20″ poster sizes. A strong aluminium and steel construction provides great stability, easily folds away for night time storage. 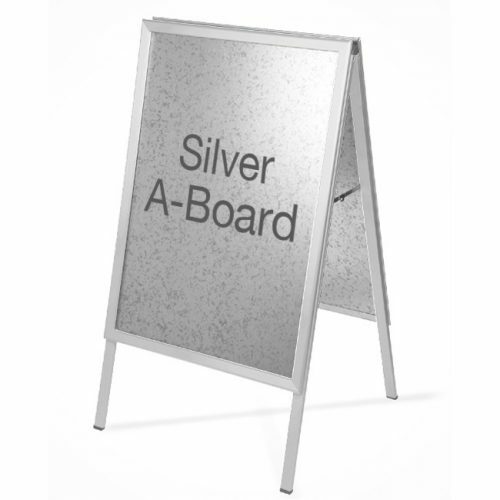 This A-Board* incorporates a snap open and close frame system for quick and easy poster changes. It also comes with a 0.5mm anti reflective front, a galvanised steel back panel and feature a heavy duty 32mm extruded aluminium profile.